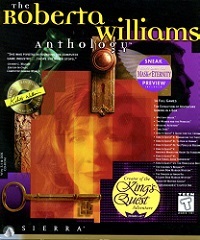 When king Graham returns from a walk, he finds his castle and family missing. Luckily a talking owl, named Cedric, has witnessed what happened. He tells Graham that an evil wizard, Mordack, has kidnapped his family, and decides to help Graham. Cedric takes Graham to his master Crispin in Serenia. Crispin, a good wizard, gives Graham his old wand and tells Cedric to join Graham on his quest. 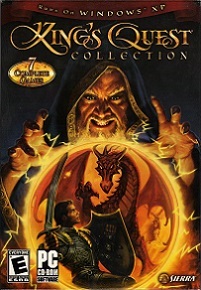 Together they explore Serenia, encountering bandits in the desert, a forest witch, a gnome, elves and many more characters. Then Graham and Cedric cross the snowy mountains, meeting queen Icebella and the horrible yeti, and finally sailing the sea, home of the harpies, to finally arrive at Mordack's island. There Graham finds his castle and family, miniaturized in a glass jar. It turns out that Mordack is the brother of Manannan, the wizard who kept Alexander as a slave in King's Quest III. Alexander had turned Manannan into a cat, and Mordack threatens to kill Alexander's family if he does not turn Manannan back to human form. Graham also frees Mordack's slave, Cassima, princess of the Land of the Green Isles. 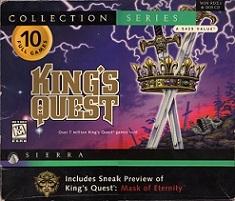 At the end, prince Alexander promises Cassima to visit her in her homeland, setting the stage for King's Quest VI. 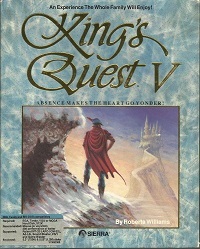 King's Quest V contains by far the strongest references to the origin of the King's Quest series, Hi-Res Adventure #2: The Wizard and the Princess, re-released under the title "Adventure in Serenia". Other similarities, aside from the name of the country where king Graham travels, are the travel route (desert, mountains, sea and finally the wizard's island), the rattlesnake, the ship hole puzzle and the similar final battle, involving magic to shape-shift. 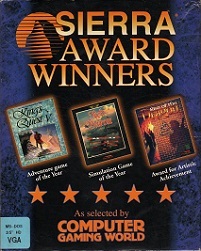 The game uses Sierra's SCI engine, a point-and-click interface, and has VGA graphics. 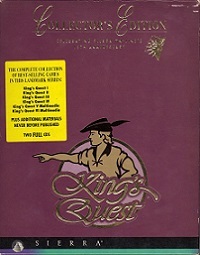 King's Quest V was first released on floppy and later on CD-ROM with speech. 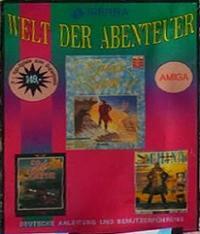 The floppy version has a copy protection in the form of wand spells, requiring the game manual. 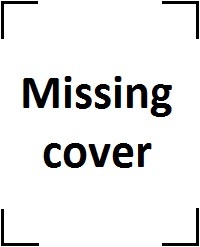 This protection was removed from the CD-ROM release. The game was also released for the NES, a version which has some in-game differences from the PC release, such as Austin and Amanda not showing up in the bakery, a different sea monster and Cedric being turned into stone during the final battle.